The Circuito de la Comunitat Valenciana was completed in 1999 and held rounds of the MotoGP and Spanish Motorcycle Championships in the same year. The Cheste track has several layouts, running anti-clockwise with varying lengths. 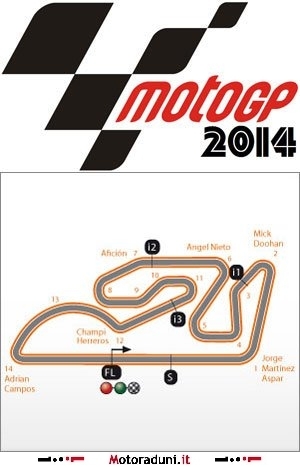 MotoGP events are held on a 4km track comprising of five right handed corners, eight left handers and a 650m straight. Although the track is regarded as quite small, the pit complex contains 48 garages whilst the stadium style grandstands can seat up to 150,000 spectators. The circuit layout which allows all parts of the circuit to be seen from any stand helps to create a unique atmosphere enjoyed by Spanish and international riders alike and as the last race of the season there is always a party feeling to the Grand Prix, which was voted best GP of 2005 by IRTA.